Plesk, one of the more popular web hosting administration apps, gives you the possibility to back up the contents of your websites. 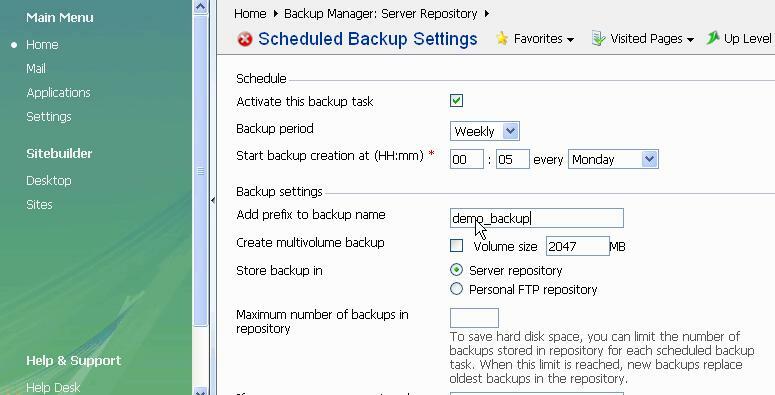 You can do this either immediately or on a scheduled basis by selecting the backup options and following the onscreen dialog boxes. 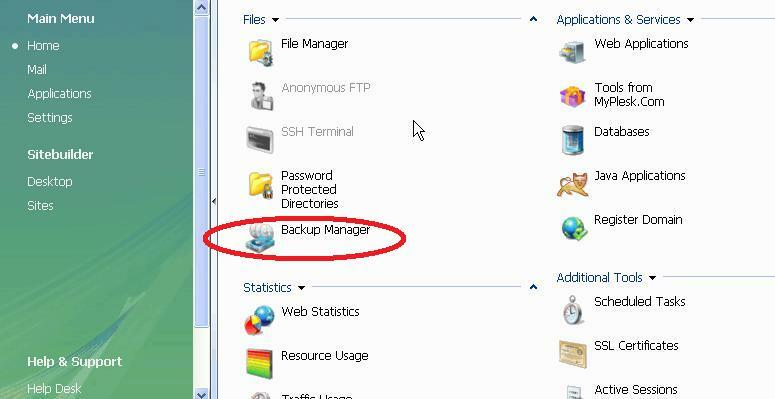 Next, click on “Back Up” to make an immediate backup of your web files or on “Scheduled Backup Settings” to schedule a backup (either once or on a regular basis). Then we complete the information for the scheduled backups by defining the maximum number of backups (to prevent disk space being used up without control) and leave contact information for any alerts or notifications. We also select “Domain configuration and content” for a complete backup. 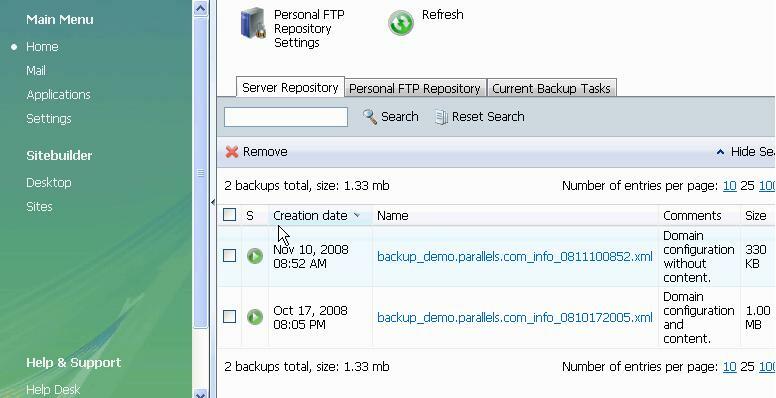 We can then check that the backup has been done by clicking on the “Server Repository” tab to check the presence of the backup file and the time and date of its creation. From the Server Repository, the backup can also be saved to local disk. To restore the backup, go to the Backup Manager again and from there to the Server Repository. Select the backup to be restored and click Restore to restore from the specified backup. You may also have a database associated with your website and want to back up the contents of the database. Depending on the version of Plesk you are using, you will have different options. In Plesk 9.5, the “Backup Manager” box also has a Database Backup Repository. 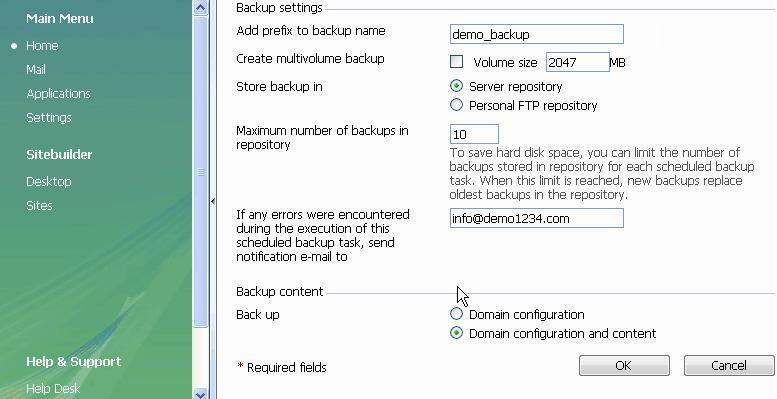 Within the Database Backup Repository, you select the “Back Up” action to then specify the database to be backed up from a dropdown list and the name by which you want to call the backup. Click “OK” to start the backup. 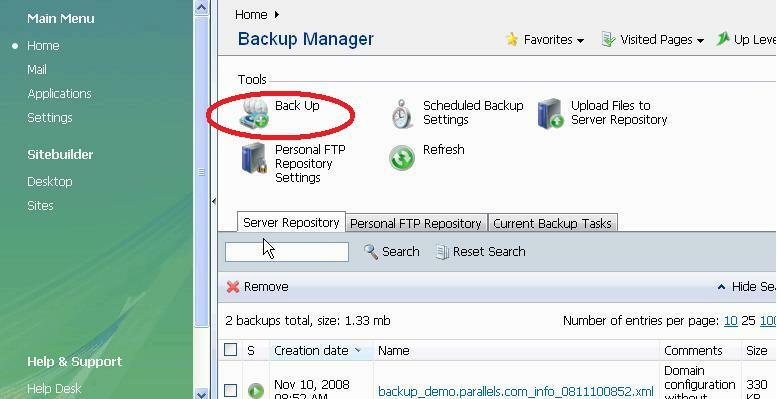 When the process has finished, the database backup will appear in the list of database backup files in the Database Backup Repository, from which it can then be restored if required. In Plesk 10, database backups are performed using the phpMyAdmin utility. First, access the databases section in the “Website and Domains” tab to select the database to be backed up. A .sql file will be produced and transferred to the local computer directly. To restore a database, access phpAdmin via WebAdmin again and this time use the “Import” function to specify the database (.sql file) that is to be restored.